Today’s Fed statement confirmed the idea that the Fed is not going to raise interest anytime soon (Probably will wait to at least June 2015, IMO). The language the Fed used was very strong, specifically pointing out the weak global growth and a strengthening US Dollar. The impression the market got was that the Fed is very concerned about these data points, and in turn should not raise rates for a ‘considerable’ period of time. As long as investors believe this to be the case, I do not think weak growth will be problematic. We may go back to the trading theme that “Good News is Bad News” and vise versa. The next catalyst for the market is earnings. Over the last few years it seems that whenever people worry about earnings, whether it is due to global growth, or now a strengthening dollar, companies tend to beat the albeit lowered expectations. Therefore, I believe that earnings will beat, just like they have over the last few years. I am not going to sit here and tell you that the quality of these earnings are great, many earning beats have been manufactured by share repurchase programs. I am also not going to say that people should be encouraged by the macro headlines, but in my opinion, I think that as long as the Fed makes it clear that rates will stay low, it does not matter. There will come a time when it does matter, but that time is not now. It pays to follow the trend, and right now the trend indicates that the market is going higher. I remain bullish on the market, mainly due to seasonality. The market tends to rally in Q4 in a mid-year presidential cycle year; so that is encouraging for the bulls. But there is something that needs to happen before I can say we are clear. The S&P 500 needs to close above the 50dma. Without this we are still in a short-term downtrend. In addition, we also need to see the MACD turn positive on the S&P 500. If and when both of these things happen, I think we can see a push towards 2050 possibly even 2100. I am looking to buy a December 200/205 SPY call spread. I want to see confirmation that the market is going higher before I am willing to commit. In addition to the technicals, there were two good pieces of news that I think people were overlooking. First was COST earnings, which were very strong, and then the second was when AA reported a strong number after-hours. 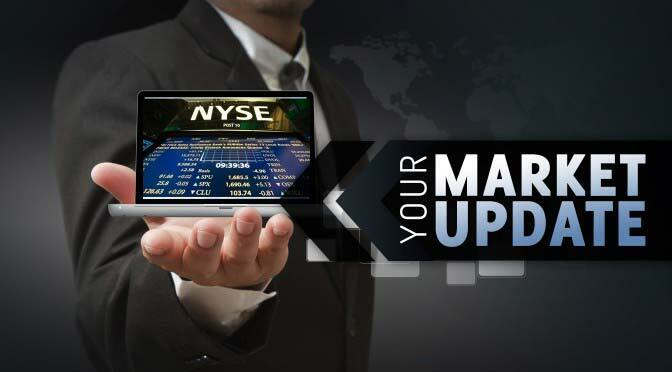 The encouraging earnings from both companies will keep the market elevated, at least until the banks and then some of the big tech names like GOOGL, INTC, MSFT, IBM, AAPL report. Now, I will shift focus to a few individual stocks that made headlines. 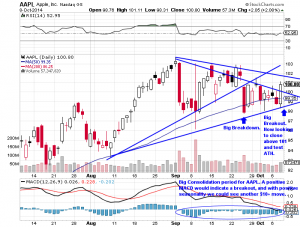 First is AAPL. 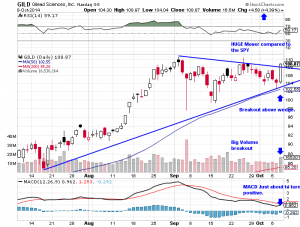 The stock was on the verge of breaking down, but with today’s action, the stock is now actually looking to break the recent wedge to the upside. In addition, it was able to reclaim the 50dma, which has been key support. 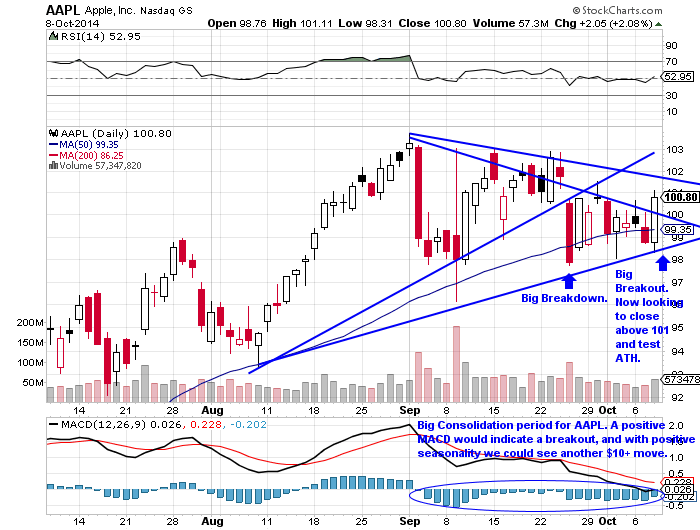 There are many catalysts that can move AAPL over the coming days. 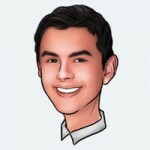 I remain very bullish on AAPL, and I think that the China pre order numbers and AAPL’s earnings report will send shares to a new ATH (as long as the market cooperates). Next is GILD. 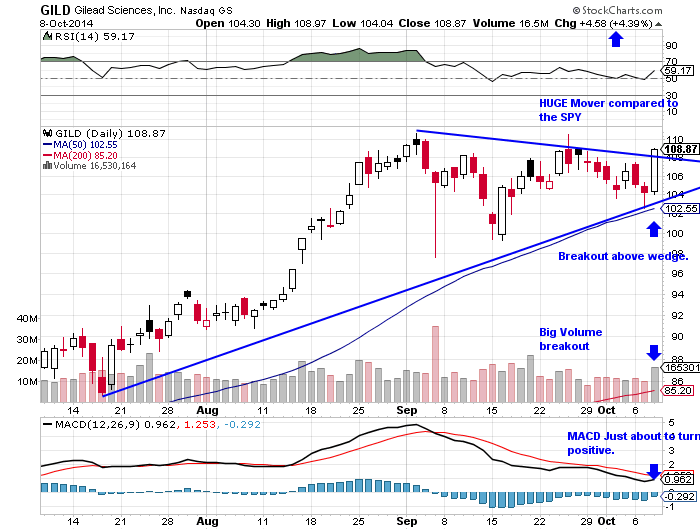 I have been a big bull on GILD because of the strong fundamentals and the bullish technicals. The company is trading at a forward P/E of 12, I am long, and I think it should be a position in many investors’ portfolios. I am not in any options because they are too expensive. Lastly is TWTR. 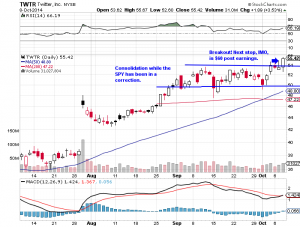 Over the last few days, as the market was selling off TWTR was a clear market leader. It has refused to sell-off and today broke out to the upside. 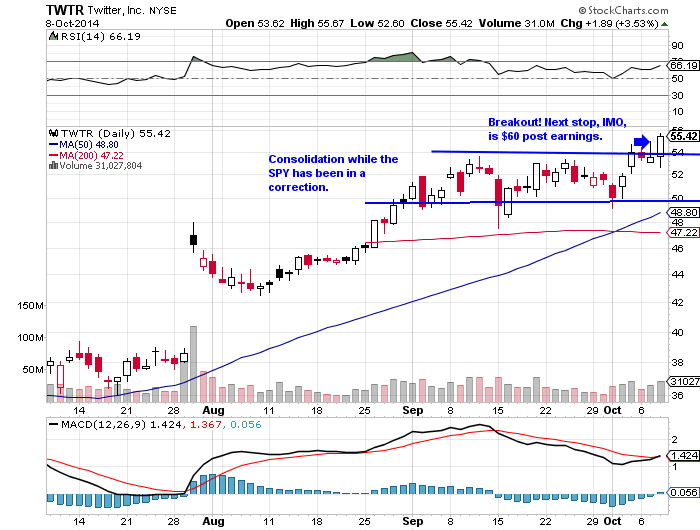 I am not in any calls, but if the market closes above the 50dma, I will be sure to look to TWTR to play for upside.